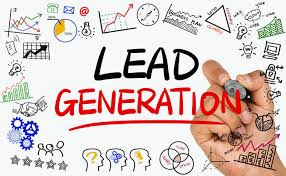 Leads are essential for any successful business- Home business ideas, but particularly so in network marketing, in which MLMers need a steady flow of prospects to present their products or business opportunity to. Unfortunately, many in multi-level marketing (MLM) don't treat their business as a business. The truth is, a network marketing direct sales business is just like any other business, whether it's a blog, eBay, a franchise, or freelancing. All businesses require marketing and lead generation in order to make sales. As a result, network marketers should use many of the same marketing strategies and funnel systems used by other businesses that need leads to make sales. Most MLM companies recommend starting with a list of 100 people you know. Called your warm market, this is not a bad place to start when looking for customers and business builders. The problem is, many MLMers work this list to the point of annoying their friends and family. You're better off spending your time finding people who are interested in what you've got rather than trying to convince your commuting buddy to sign up when he doesn't want to. So how do you get leads? The best leads will always be the ones you generate yourself. These people have seen your pitch and raised their hand to learn more. Bought leads respond to generic ads, and as a result, may not be interested in your products or business specifically. Further, the buying leads is expensive. 1. Who is the most likely buyer of your produce/service or business plan? What do you sell and who needs it? Do you sell candles? Who buys candles? Do you sell wellness products? Who wants wellness products? All marketing for any business starts by identifying your target market. 2. Where can your target market be found? In the past, MLMers were told to talk to everyone who stood within 3-feet of them or to place classified ads. While this isn't bad, it's less effective than going to the source. The people standing near you or reading the paper may not want or need what you've got. If you sell health and wellness products, talking to people in a gym or writing a guest post on a fitness blog are better options. If you sell jewelry, visiting office buildings the first weeks of February to help men by gifts for their Valentine's is another option. 3. How can you entice your market to want to know more? An important thing to remember when talking to people is that it's not about you or your product. It’s about them and how you or your product can help them get what they want. You can do this by learning about your leads' feelings, goals and wants, and then providing a solution. The fact is most people don’t care about your company, pay plan, etc. They care about finding a solution to their problem. Now that you know who, where and how to find your market, here are some great ways to locate and entice these people to find you. 1. Generate MLM leads with a personal website. Many companies offer websites. Others allow you to make your own, but some don't, so you'll need to check your MLM company's policies about websites. If you can, make your own because you want to differentiate yourself from your competitors. If you're not allowed to make a website directly about your business, make one covering a topic related to your business. For example, if you sell health and wellness products, but can't have a self-made business site, start a health and wellness blog. Your website should include information about you and your company, but again in the slant that shows how you can help others get what they need. There is a process or system of working with leads. The first step is getting them to take an interest in what you have (i.e. visiting your website). The next best step is to ask your leads to sign up for your email list. The best way to get their name and email is to offer something for free such as a report. This will build your subscriber list and allow you to communicate with your prospects. Use it to provide valuable information related to your business, such as research, updates and sales. Timing is everything. If the timing isn’t right today, it may be next year. Be that person who has stayed in touch. 3. Have a "Tell Me More" option. Most people who visit your site won't be ready to buy, but a few might be ready to hear your pitch. Include a form different from your email that allows leads to ask you to contact them about your products or services, or business opportunity. Include a link to this form in your emails (#2). Use copywriting techniques that focus on how you can help your prospect benefit from your product/service or business. 4. Write articles to generate MLM leads. Article writing is free and an effective way to get in front of your market through other people's websites. They key to a good article that another site will run is that it's informative, not an advertorial. If you sell candles, write a Valentine's day post on creating romance with candles or how candles can improve mood. As a network marketer, you have two types of articles and markets to go after. The first is related to your product or service (i.e. candles) and the second is home business wannabees. In the second option, you can write articles about MLM for career and business websites. Just know that most places won't want you to promote your business within in the article. Instead, include a bio that mentions your freebie (#2) and a link to your website. While tweeting, "Join my team," won't likely produce results, if you're clever, you can use social media to generate leads. For example, if you sell weight loss products, you can have before and after pictures on Pinterest or Instagram. If you sell make-up, you can have tutorials on YouTube. Just like in other businesses, referrals are cheap and easier to convert to a sale. People who come to you through someone else are already wanting to know about you. Many people you talk to won't be interested in buying, but they might know people who are, so develop a referral program the entice them to send people to you. For example, you can give them a 10% discount on their next purchase for every new customer they send. Getting the leads is just the first step in the process. Next you need to qualify them to determine if they're a good fit, then make your pitch, and finally, follow up. Many network marketers don't like the sales process, but it doesn't have to be hard or scary, especially if you start with leads who've come to you specifically to know about what you offer. 0 Response to "How To Get Quality Leads For Your MLM Business"